it was my birthday on friday! 22 and feeling like a pensioner. i spent most of the day with my family, eating lots of cake and laughing at my nephew being silly. later on, i went for a meal and drinks with the boy which was nice. i really, really wanted to wear my floral dress from zara (for once), but it was raining so jeans it had to be. 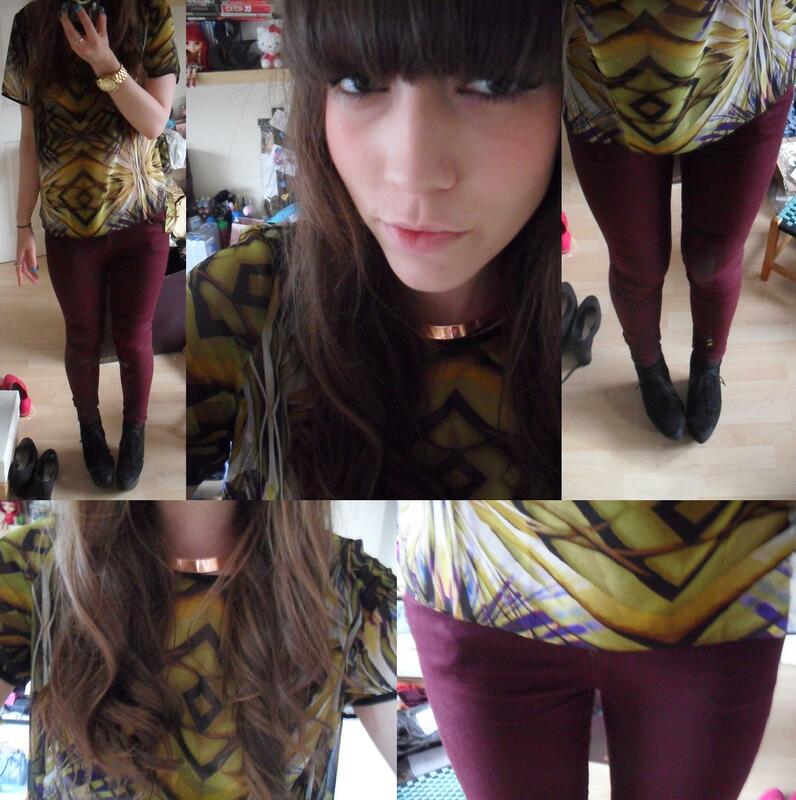 i received the top in an asos order that morning and i really like it! i wasn’t so sure at first and added it to my basket as a possible return, but i’m glad i clicked buy! 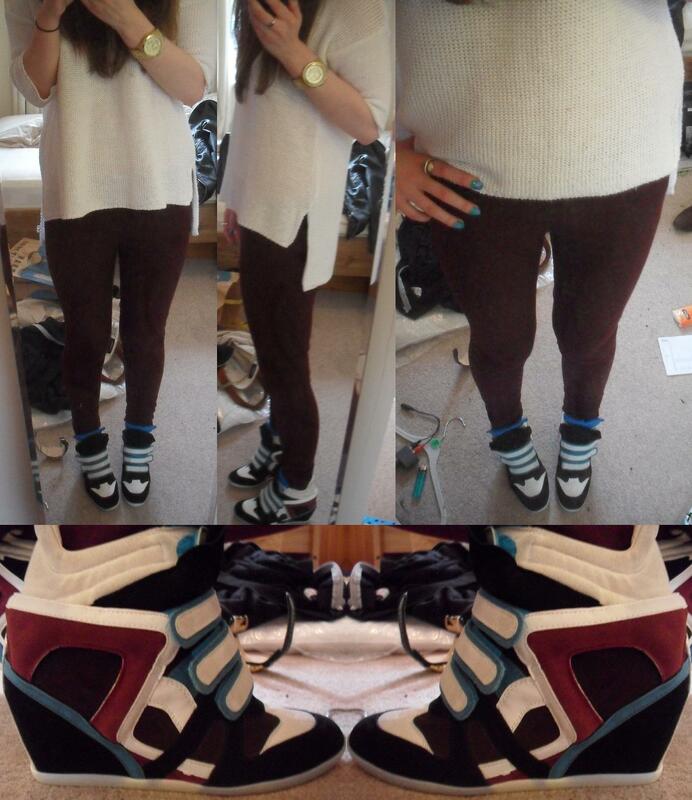 this was what i wore on the saturday to go into town to buy my dad a fathers day present. photo taken at the boys house (hello if you’re reading this. this totally happened whilst you were out of the room haha) just before we left. the weather was utterly miserable so he us drove into town then we went for food (which wasn’t all that nice, urg). the mulberry sale has started so i looked at some bags/purses which i may or may not buy on monday when i get an extra 10% off. we’ll see! from the top: the birthday cake my mum made me (it’s a gift bag and all the ‘gifts’ are biscuits! 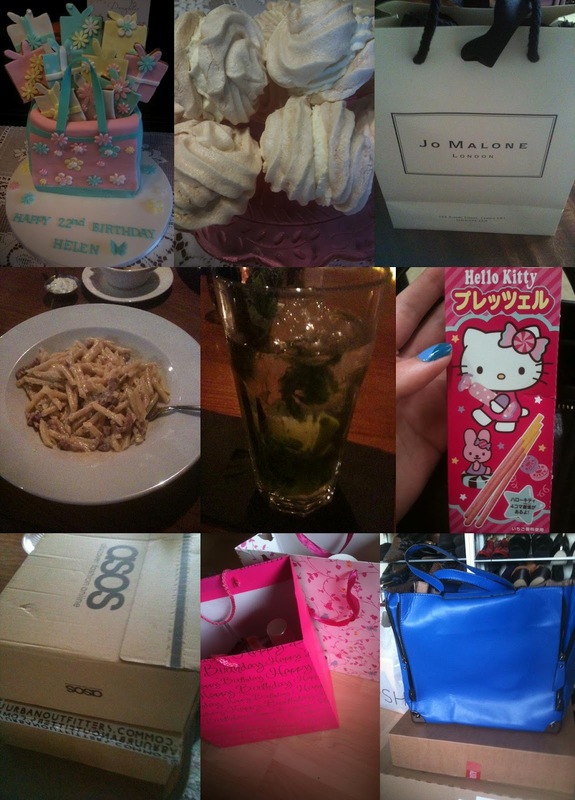 ), home made meringue’s with whipped cream inside, jo malone orange blossom perfume, carbonara at a restaurant with the boy, mojito (my favourite cocktail), strawberry pocky, asos and urban outfitters deliveries (happy birthday to me), gift bags with things from my parents and sister, my new bag from oasap which got slightly mashed on its way home. ps. i’m still going to be doing my 250 followers giveaway when i get to that amount, so please click follow! also, send me your twitter @ names so i can follow you!